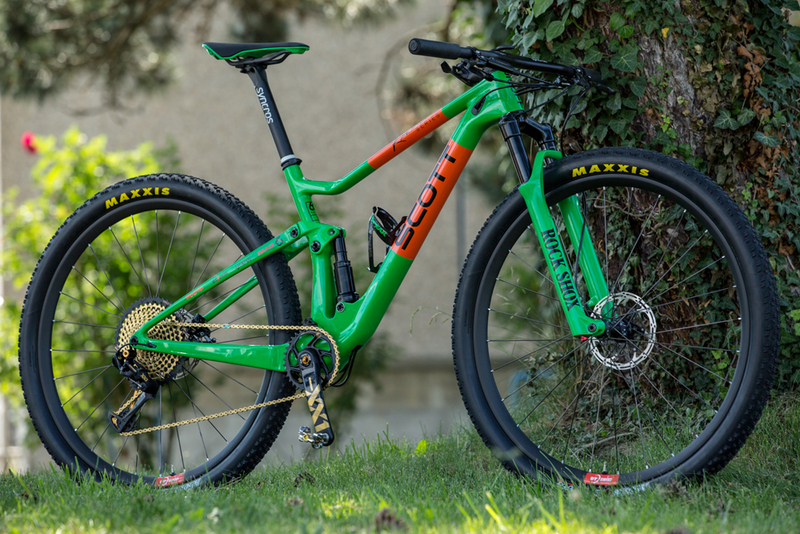 Here’s one of the fastest XC race bikes in the world in retro colors. With its 60 birthday this year, Scott is having a little retro fun. 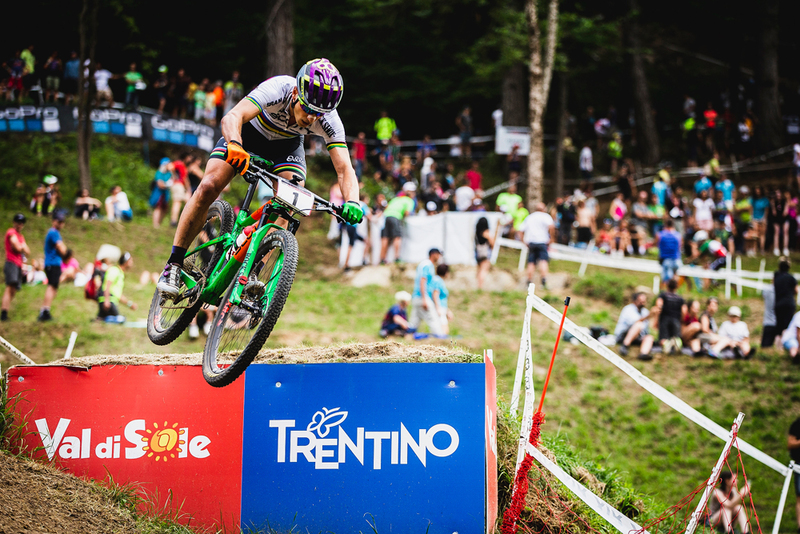 At the recent World Cup cross-country race in Val di Sole, Italy, the Swiss bike maker presented reigning Olympic XC champion Nino Schurter with a throwback Spark RC 900 World Cup. 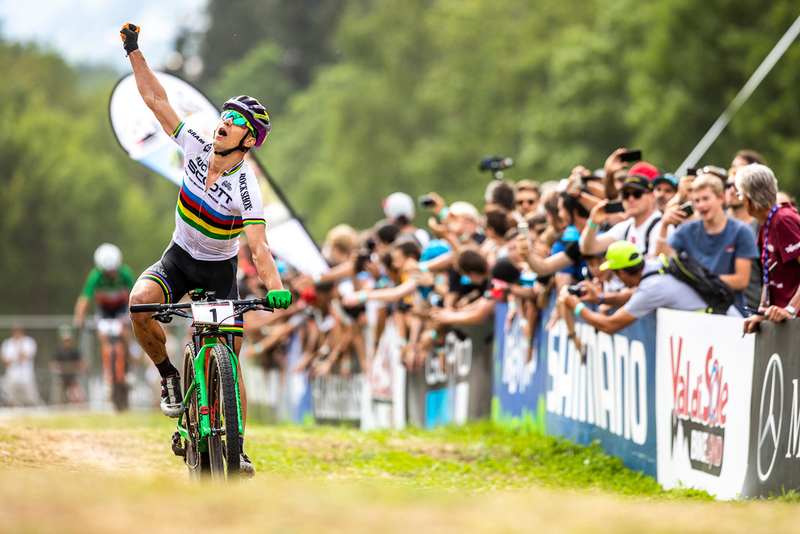 Of course Schurter obliged in style, winning his 29th World Cup race. Schurter now leads the overall World Cup standings with 1130 points ahead of Mathieu van der Poel (820 points), who was third. 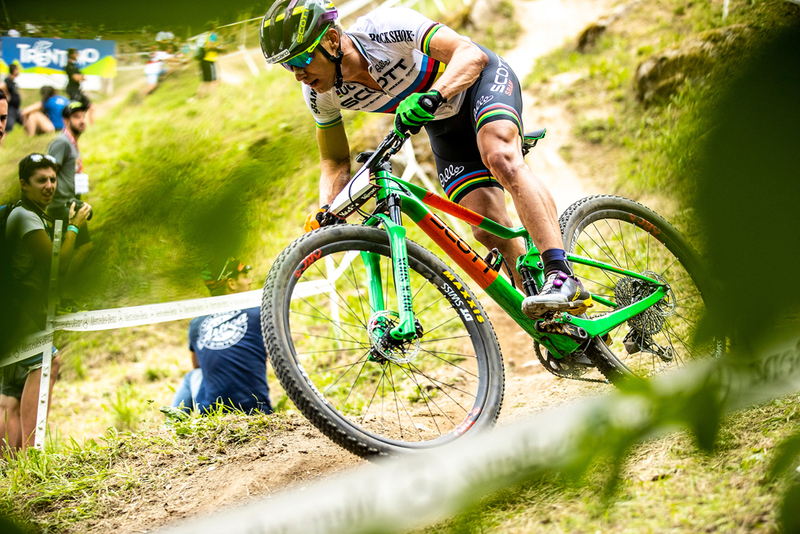 New looking bike, same results for Schurter. 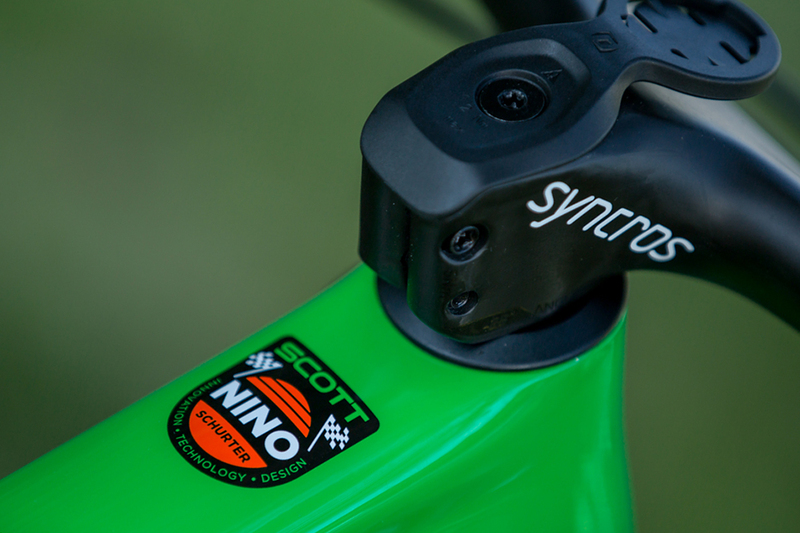 The bike’s green and orange design dates back to the 1990s era Scott Pro Racing model. But that’s about all the two steeds had in common. 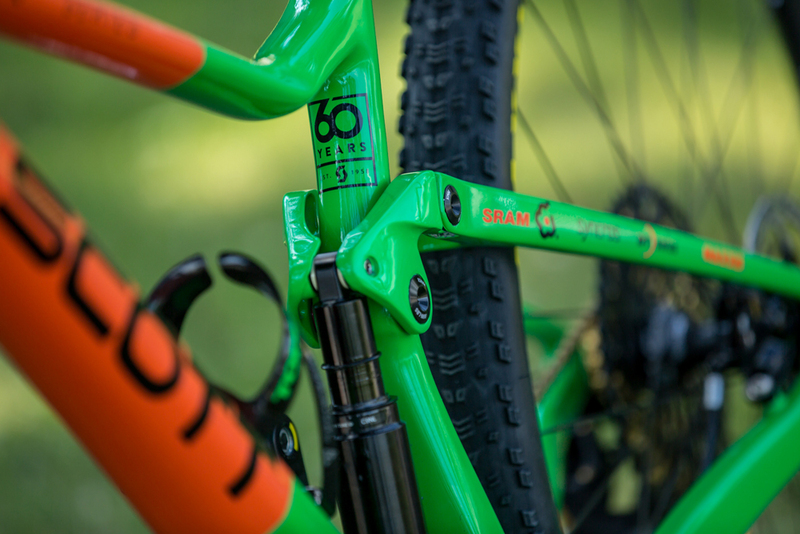 The current Spark is a 100% race-dedicated full-suspension weapon that’s light and stiff. Frame and shock weigh a wispy 1779 grams (including hardware) and is made of 752 single ply HMX carbon fiber layers put together by hand. Read the Mtbr long term review of the Scott Spark 900. The Scott Spark RC is a race bike was serious technical capability. The heart of the frame is the Trunnion mount where the shock body extends between the two lower mounting bolts, which results in more stroke for the same eye-to-eye length. The shorter shock enables a compact frame and shock package that integrates tightly to the seat tube. 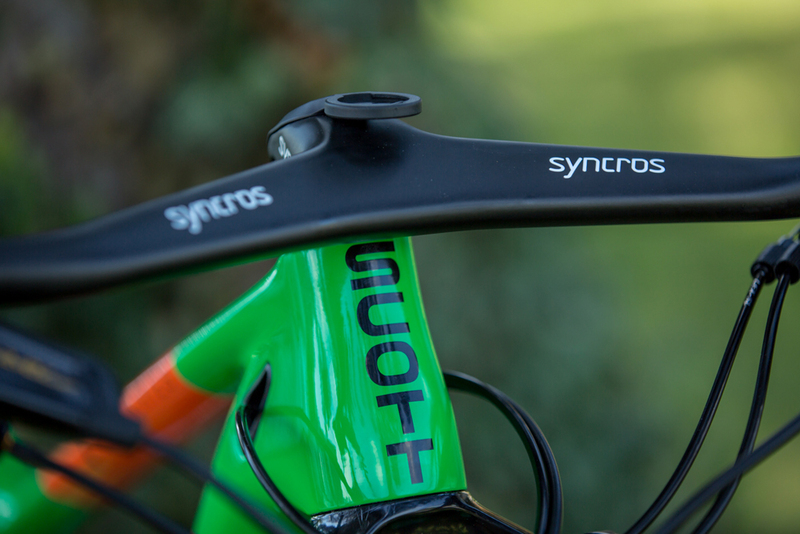 Schurter runs this highly unique-looking one-piece Syncros bar-stem combo. Pro Racing technology: Tange Prestige tubes. Vantage Comp Rims with 32 spokes and Ritchey Megabite Hard drive tires. Shimano XT group with round chainrings, Hyperglide, Superglide and 21 speed. Handmade at the welding seams. Plain racing-green. Then and now: Scott has been making race capable bikes for a long time. Click to enlarge. 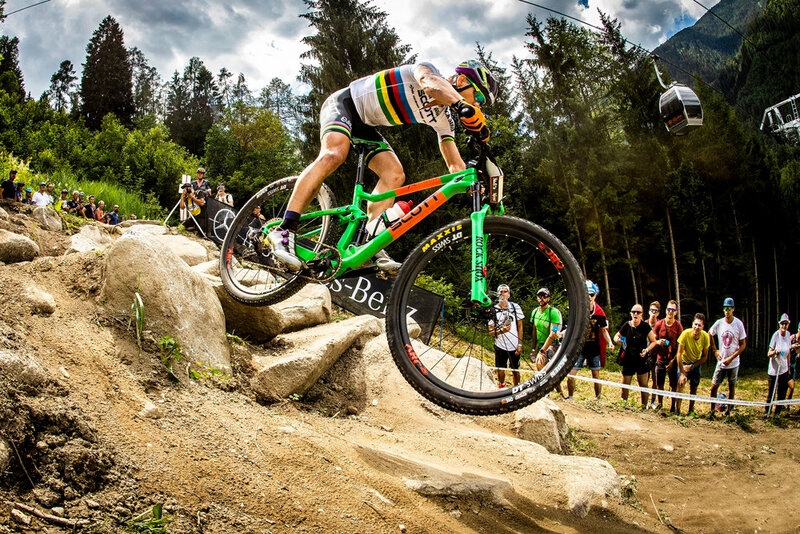 Schurter is one of the best bike handlers in the world, XC racer or otherwise. To learn more head to www.scott-sports.com. Schurter leads the overall World Cup standings once again. 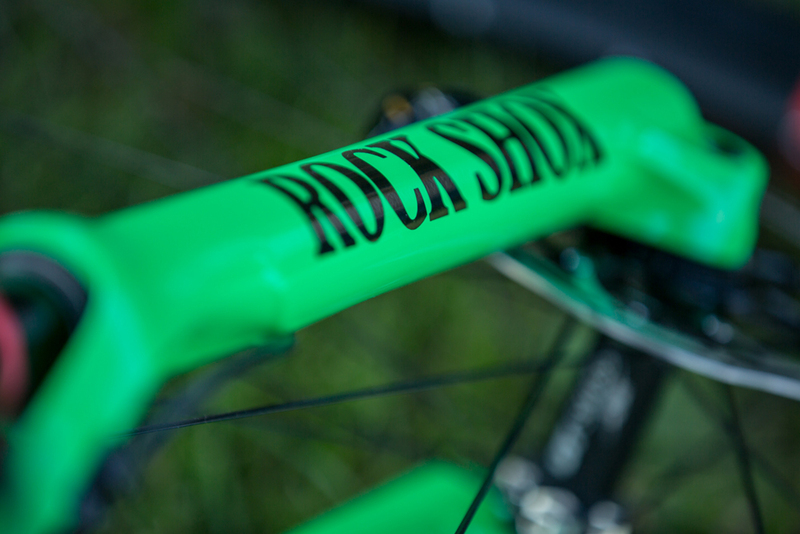 RockShox has a long history in XC racing. Then and now: Scott has been making race capable bikes for a long time.